Can my business qualify for factoring? What if my business has no credit history or a poor credit history? Do I have to sell all of my accounts receivable / invoices to the factoring company? What services beyond the actual business financing do factoring companies provide? How does factoring compare to traditional bank financing such as loans and credit lines? What is the difference between recourse factoring and non-recourse factoring? What will my customers think if I sell my invoices to a factoring company? 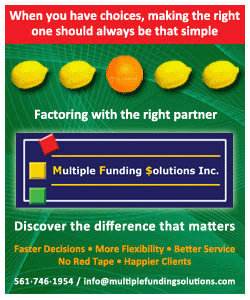 What are the benefits of factoring over other business financing instruments? Any non-cash-and-carry business that sells products or services to creditworthy companies or government entities and extends payment terms to its customers is a potentially good candidate for factoring. Contrary to traditional financing options like bank loans or credit lines, the qualification criteria for factoring focus primarily on the financial strength and creditworthiness of your customers. This is one of the major differences and biggest advantages of factoring over other forms of business financing. As soon as your product or service has been delivered to and accepted by your customer, your invoice to this customer can be factored – and funds can be disbursed to you - right away. It depends. Some factoring companies will ask for all of your invoices to all of your customers, while others will allow you to factor only some of your customers and/or some of the invoices. Factoring is a viable and comprehensive accounts receivable and cash management tool. In addition to freeing up money that would otherwise be tied to your receivables, it can reduce your internal cost for maintaining accounts receivable, such as billing, bookkeeping, collections, and credit verifications of your current and future customers. Factoring will also add or introduce another quality control measure to your sales process. In essence, outsourcing your accounts receivable management to a factoring company allows you to spend less time and money on “admin” functions, and more on productive activities like sales and customer service. Factoring fees, i.e., the “discount rates” are typically calculated as a small percentage of the sales value of the invoices that you submit for factoring. This percentage will usually depend on a variety of variables: the credit quality of your customers, the length of time your invoices remain open, the total sales value you factor, and the range of services that you are purchasing from the factor. In general, factoring is more expensive than bank financing, but “if you take into account the costs associated with maintaining accounts receivable, such as bookkeeping, collections, and credit verifications, and compare those expenses against the discount rate you’ll have to apply when selling them, sometimes it even pays to utilize this financing method” said the Entrepreneur Magazine Guide to Raising Money. Bear in mind though that the lowest factoring fees (discount rates) are not necessarily the best value. They often go hand-in-hand with other [hidden] charges and potentially severe risks to your business that may not be evident to the untrained eye or before entering into a contractual factoring relationship. Factoring is fundamentally different from bank loans and LOCs in many aspects. Bank financing focuses on the borrower’s financial strength and history and his collateral for qualification, while factoring focuses mainly on the credit quality of the borrower’s debtors, which makes factoring more accessible to a wider range of businesses than bank financing. Whereas bank loans create debt and additional fixed costs for the constant periodic repayment of principal and interest, factoring is not a loan but rather a straight forward sale of assets (accounts receivable), which creates no debt and no fixed costs. Instead, factoring costs are variable costs, which are only incurred at the time when the sales revenue has already been realized. You can also think of it as a small reduction in revenue (similar to a 2% net 10 arrangement that most businesses would grant their customers anyway in return for receiving accelerated payment on their invoices). Bank loans and credit lines are also limited in size and require re-application if more money is needed later on. Factoring facilities typically grow automatically with your sales and without the need to re-apply. With recourse factoring, the seller of the receivables is ultimately responsible if his customers do not pay the invoices. With non-recourse factoring, the factoring company bears that risk only in cases where the customer (debtor) is bankrupt and cannot pay. However, if the debtor simply disputes the invoices and just refuses to pay for whatever reason (other than bankruptcy), the seller of the receivables is still responsible towards the factoring company, regardless of a non-recourse agreement. A non-recourse agreement merely eliminates the credit risk to the seller in one situation only: in case of his customer’s bankruptcy. 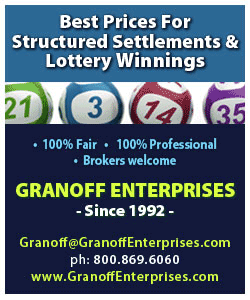 Non-recourse factoring facilities may also carry higher rates and usually have more restrictive underwriting criteria. They may sound more attractive but are not necessarily a better choice than a recourse arrangement. In fact, many business owners have merely entered into a non-recourse arrangement, only because they erroneously believed that it would shield them against all non- and short-payments of their invoices, regardless of the reasons behind them. A potentially “bad image” as a result of using factoring is indeed an occasionally real but equally unfounded concern. Factoring has come a long way over the past few thousand years and is certainly nothing to be embarrassed about anymore. In fact, your creditworthy customers are most likely very familiar with factoring already, and chances are that some of their other vendors are already using it too (especially if your customers are particularly slow payors). The obvious thing to avoid is, of course, a factoring company that is less than professional and/or overly aggressive in their collection efforts. And a bad personal experience or “hear-say” is certainly a valid reason why some people might frown at factoring. Unawareness or unfamiliarity might also create some barriers and initial rejection. However, a good, professional factoring company may even enhance your image and also improve your working relationship with your customers. Remember, all businesses require some form of financing, no matter what life cycle they are in; and being able to secure any kind of business financing these days usually signals strength, stability, and strong potential, rather than weakness. You obtain immediate and dependable access to working capital (which grows with your business!) without incurring additional debt, because it is not a loan. You accelerate the conversion of your A/R into working capital and thus turn your operation into a COD-like business. 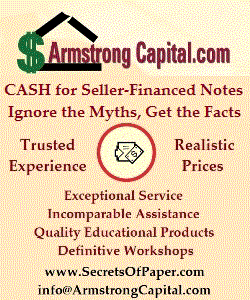 Contrary to bank financing and investor money, you obtain cash funds quickly based on the creditworthiness of your customers, not yours. Opening a factoring account requires a minimal amount of time and paperwork. There are no restrictions on the use of the funds as long as it is for a business purpose. You can use the money for on-time payroll, tax payments, marketing activities, business expansion, new equipment, or even to retire old debts. Sometimes on-time cash may even eliminate the need to file for bankruptcy. Factoring can boost your purchasing power and provide leverage vis-à-vis your vendors. You can take advantage of their early payment or volume discounts. Factoring makes it easier for your customers to buy from you, because you can offer extended payment terms without adversely affecting your cash flow. The extension of terms can give you an edge over your competitors who cannot afford to give such terms. Factoring eliminates the need to offer early payment discounts to your customers. With factoring, you retain full ownership and control over your business, as you are not giving up any equity. As it is an “off-balance-sheet” financing instrument, factoring improves your balance sheet and increases the net-worth of your company by increasing cash and decreasing Accounts Receivable. Factoring quickly strengthens your company’s financial statements and credit rating. Factoring can help your company qualify more quickly for traditional bank financing if you still need/want it. Factoring provides you with credit screening and credit monitoring tools of your current and future customers. Gives you the financial freedom and peace of mind to focus on your business and its growth instead of administration.